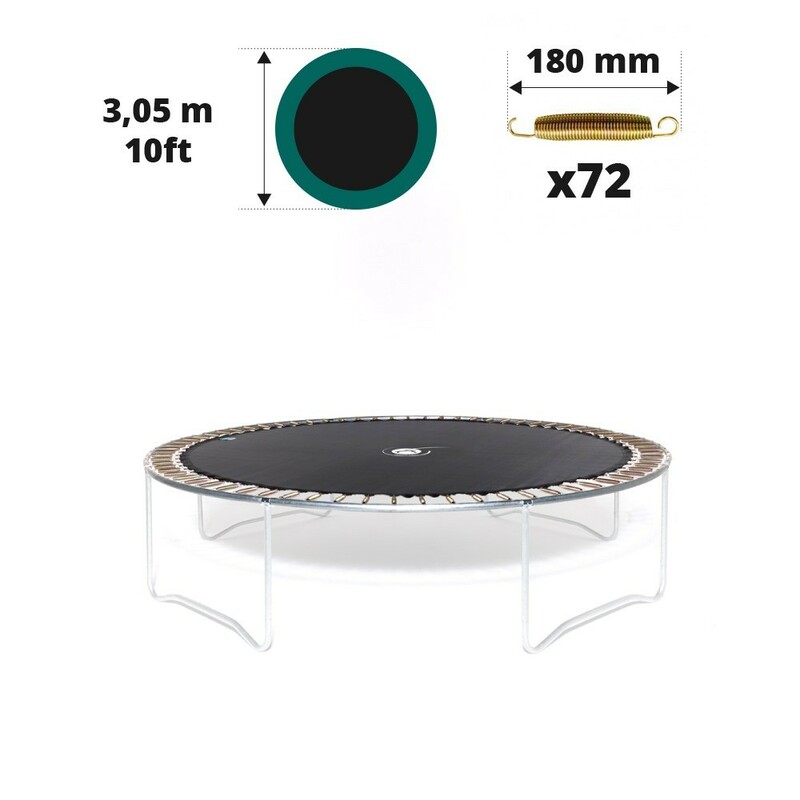 Jumping pad for round trampoline of 3.05 m in diameter. 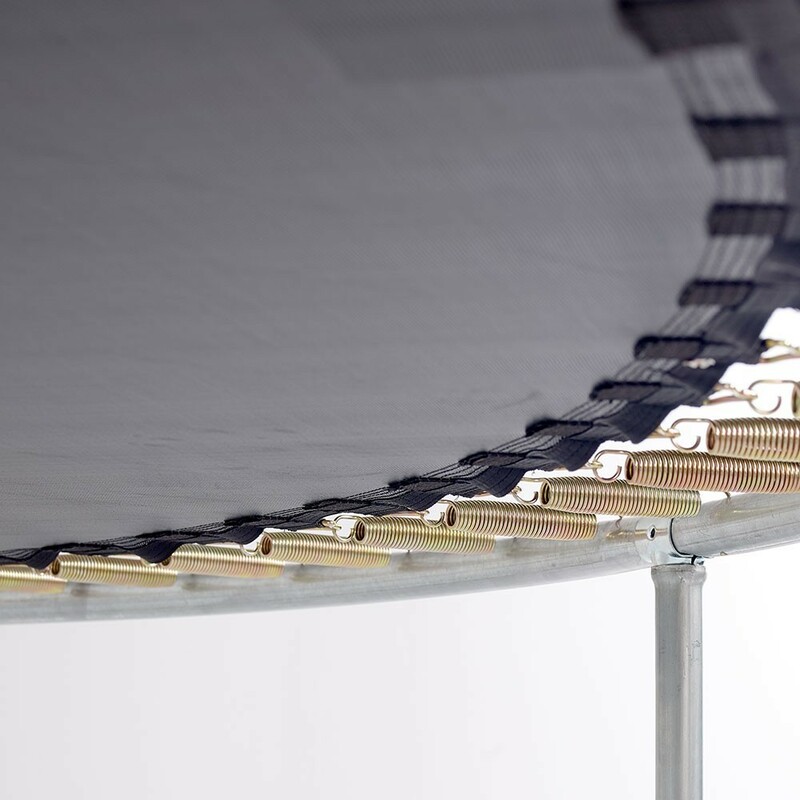 This jumping pad is adapted to 3.05 m in diameter trampolines with 72 springs of 180 mm. This jumping mat is ideal if you need to change the damaged mat on your trampoline. It is adapted to all round trampolines of 3.05 m in diameter with 72 springs of 180 mm in length. Our high quality products guarantee safe use. 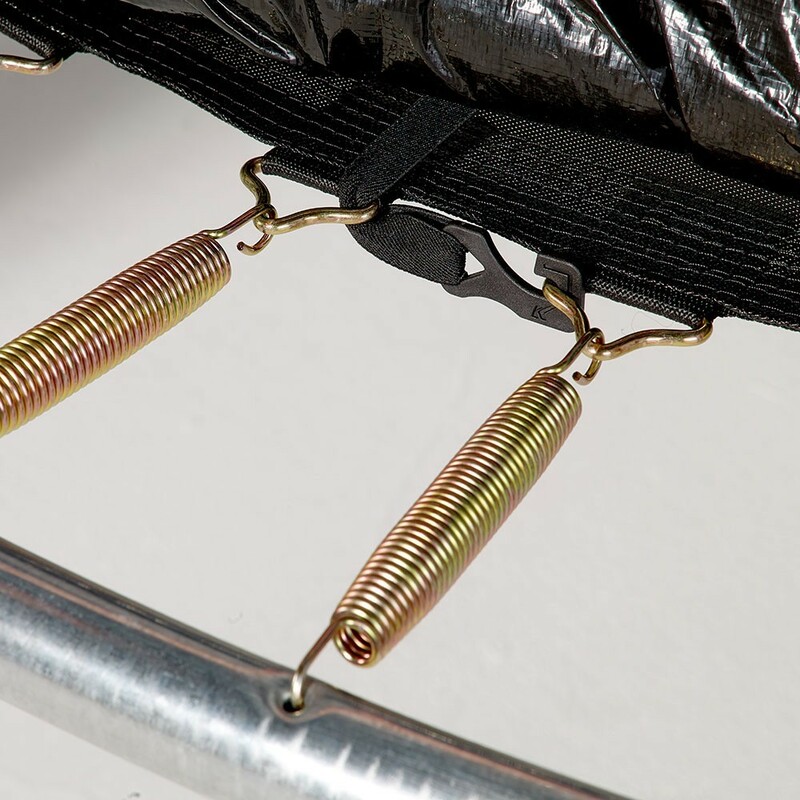 - This jumping pad was originally designed for the Jump’Up 300 with 72 springs. It is compatible with trampolines of other brands of 3.05 m in diameter with 72 springs of 180 mm in length. It is much easier to measure the exterior diameter of your trampoline if someone else helps you. 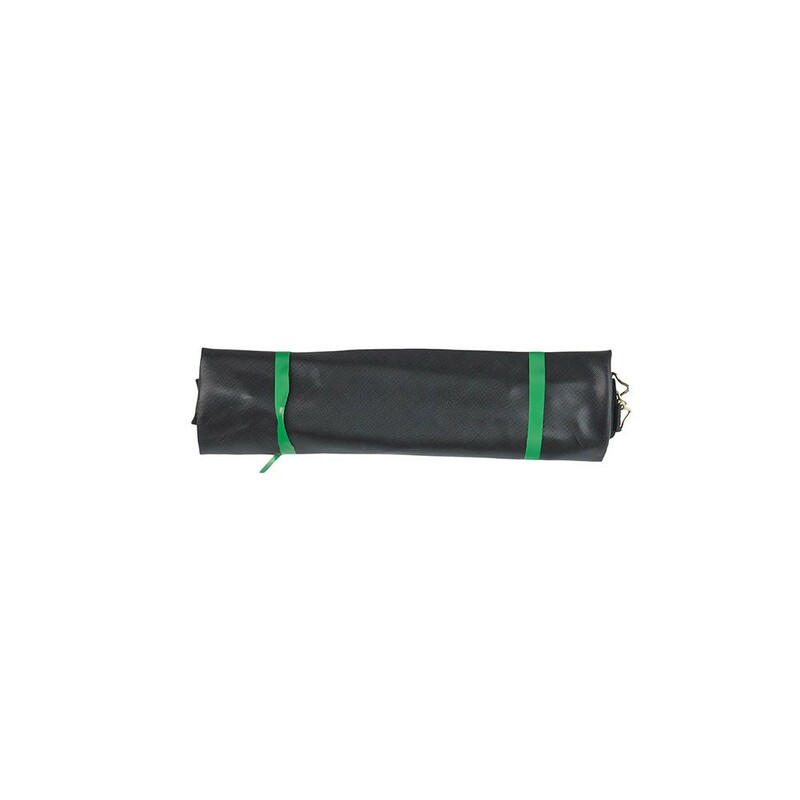 - Our jumping mat is made of black mesh fabric which is renowned for its solidity and strength. 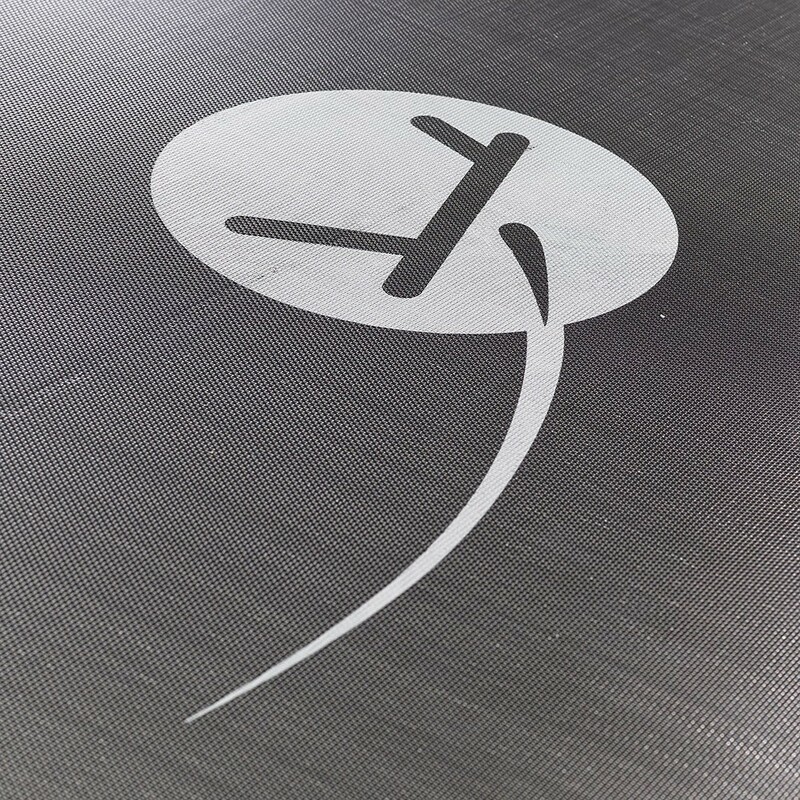 This jumping pad has been UV-protected, guaranteeing its durability. - In order to ensure a quality product, we have placed 8 rows of stitching and a strengthening strip under the jumping pad. Hot-dip galvanised, rust-proof triangular rings are used to keep the pad safely in place. - Before buying this product, we would recommend checking your measurements carefully. 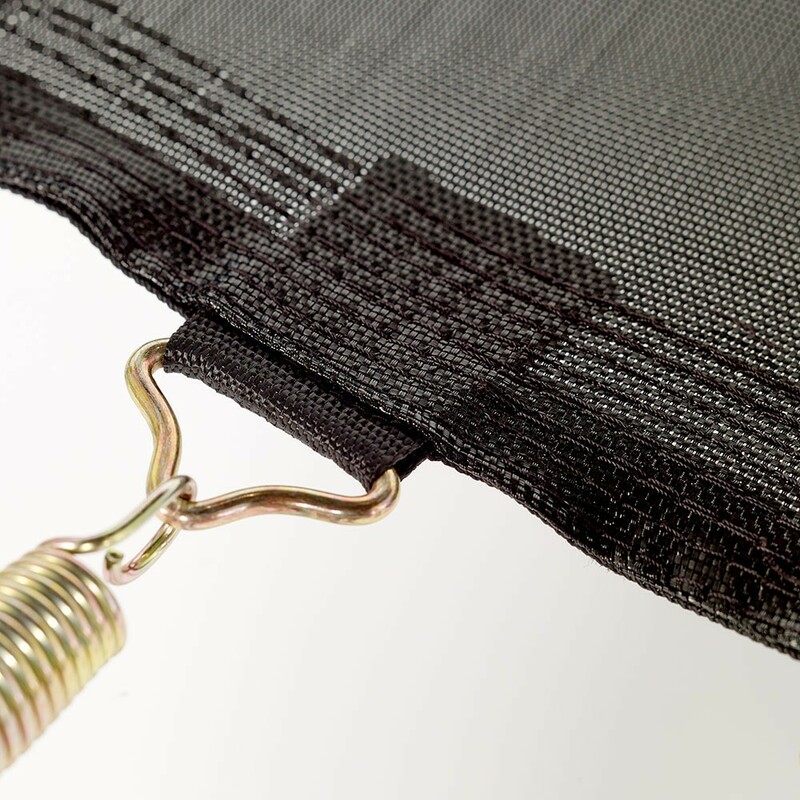 This jumping mat is only adapted if your trampoline has 72 springs of 180 mm in length. If it is not the case, our jumping pad will not be adapted. To ensure that you have the right measurements, please remove a spring and measure it in the palm of your hand from hook to hook.